When purchasing a waterfront home or property in Florida it can be a dream come true. Some of the best boating, fishing and beaches in the world can be right in your back yard. Many homeowners are living their dream enjoying their boat parked right in their back yard. As wonderful as this can be when buying a water front home you have to be very careful. Do not to make the same mistakes that thousand home buyers have made and continue to make. These mistakes can cost you thousands of dollars and even worse take away that dream and turn it into a nightmare. The good news is that these mistakes can be avoided. Industry experts have created a FREE report called “Common Costly Mistakes When Buying Florida Waterfront Real Estate”. This report outlines all the steps you need to take and questions to ask before any offer is put on a waterfront home. There are times where that amazing bargain is too good to be true and often there is a reason. Do not even think about purchasing a waterfront home or property anywhere in Florida before you read this FREE report. Many experienced Florida home buyers and waterfront experts have found this report educational. Just fill out the request form and we will email this informative report to you. 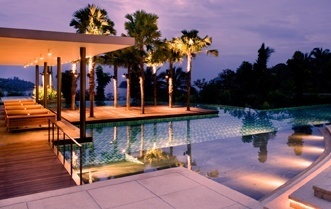 When selling luxury estates there are several steps that have to be taken to maximize returns unique to the luxury market. Many affluent home sellers and staffers have experience at selling and buying luxury estates but most do not have experience at the new fast moving global real estate market. These details can add hundreds of thousands or even millions of dollars to the sale of your estate. There are only a handful of highly specialized experts with the experience to create a report to maximize your return on a luxury estate. Some steps have to be taken far before the estate is even placed for sale. A select group of industry experts specializing in luxury estates have put together a FREE report that is a must read for any luxury estate seller. It outlines important steps and details critical to maximize profit when selling a luxury estate. Not only can this substantially increase the sale price but also sell the estate faster with less problems. For a copy of this FREE report just fill in the contact information and we will have it immediately emailed to you. Many high net worth individuals are moguls in their business which includes negotiating day in and out. When it comes to selling or buying an estate it is something unique on to itself. There has been studies buy the nation’s leading luxury brokers detailing what techniques net the best results. Negotiations in luxury estates are far more complex and integrated with far more options for a win to the shrude and educated consumer. What’s more heartbreaking that many never get the property they truly want or never sell because of missed negotiating opportunity that they or their advisors missed. Regardless of your experience an educated negotiator is the transactions best ally. This individual is sure to save or make significantly better than those who just continue to do what once worked. In an effort to educate the nation’s leaders industry experts have created a new report called “Key Points to Negotiate Luxury estates”. This report is available for FREE and could make the difference purchasing the estate you love or Maximizing your sale price on your own estate. If you are selling or buying an estate anytime in the future this report will be sure to raise your level of competence when dealing with complex estate transactions. Many things you never thought about that just make sense. Complete your contact information below and we will email the report “Key Points to Negotiate Luxury Estates. Just fill in the request form below and we will immediately email you this FREE report. Selling a home is no small task, so let us walk you through every step of the way. Click here and we can help you find your home's value. Common costly mistakes when purchasing Florida waterfront homes. Maximize profit when selling Luxury Estate Properties. Key points to negotiate when buying or selling in Florida. 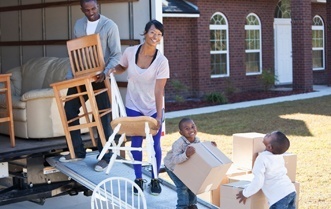 Whether you're relaocating from within or outside Florida, moving is always exciting. We can make your transition as smooth as possible. © 2015 Luxurt Estate Advisor. All rights reserved.